When we want to show that something belongs to someone or something we use the possessive in English. There is a party tomorrow at David’s house. This is my grandparents’ favourite place. The children’s shoes are so dirty. Is that John’s bike? No, it’s Kate’s. Whose coat is that? It’s Tanya’s. In some other languages it is common to use of to show possession but in English, it is a lot more common to use the possessive. The following phrases mean exactly the same but the second one is a lot more natural sounding. We use the possessive with proper nouns (names) very often in English. Mark’s car is very nice. When a name ends in s, we usually treat it just like any other singular noun. 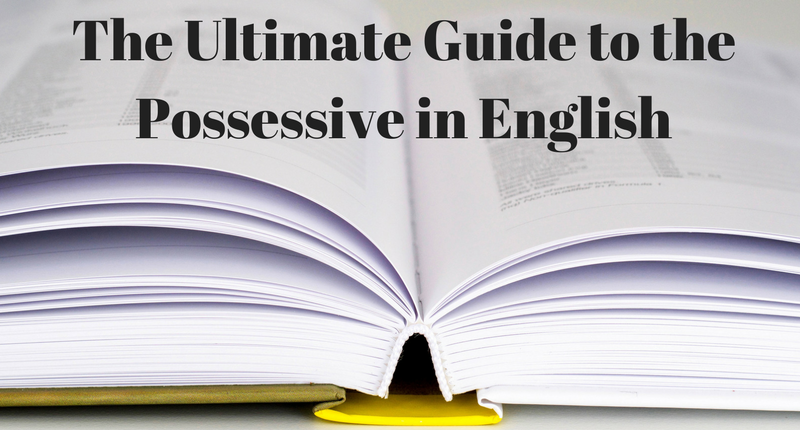 We use possessive adjectives in English in three main ways. For parts of the body. I just need to brush my teeth, then I’m ready to go. In addition to possessive adjectives, we also have possessive pronouns. We can use a possessive pronoun instead of a noun phrase. Remember these examples from earlier? Is that John’s bike? No, it’s hers. Whose coat is that? It’s hers. Jim is one of my classmates. Jim is a classmate of mine. Jim is a classmate of me. Whose coat is this? Whose car is that? Whose bags are those? Whose is this coat? Whose is that car? Whose are those bags? Reciprocal pronouns are used when two or more people do the same thing. For this, we use each other and one another. Julie and Harry copied each other’s answers in the English test. Julie and Harry copied one another’s answers in the English test. 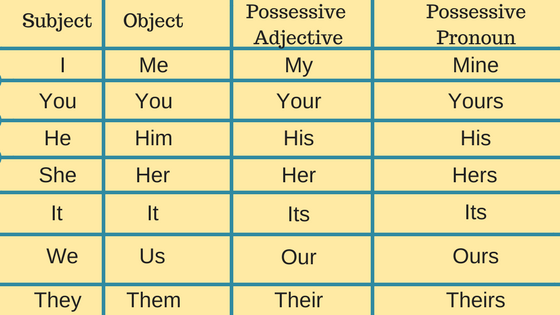 So there we have it, this is our comprehensive guide to possessives in English, covering, nouns, adjectives, pronouns, questions and reciprocal pronouns. If you have any questions, please don’t hesitate to ask us. If you would like to learn more why not check out this post: English Grammar – this, these, that, those.